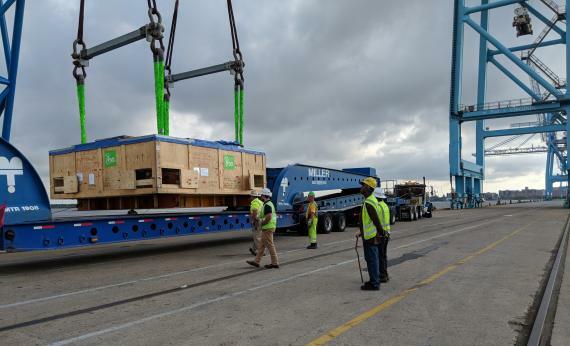 ABL in Belgium have successfully performed the delivery of 2 cyclotrons from Antwerp Port to the Port of Portsmouth in Virginia (USA) and onwards under rigging to the INOVA Hospital in Falls Church, Virginia. The cyclotrons weigh 115tn and 117tn and are particle accelerators that are used in the medical industry for proton therapy, a revolutionary cancer treatment. 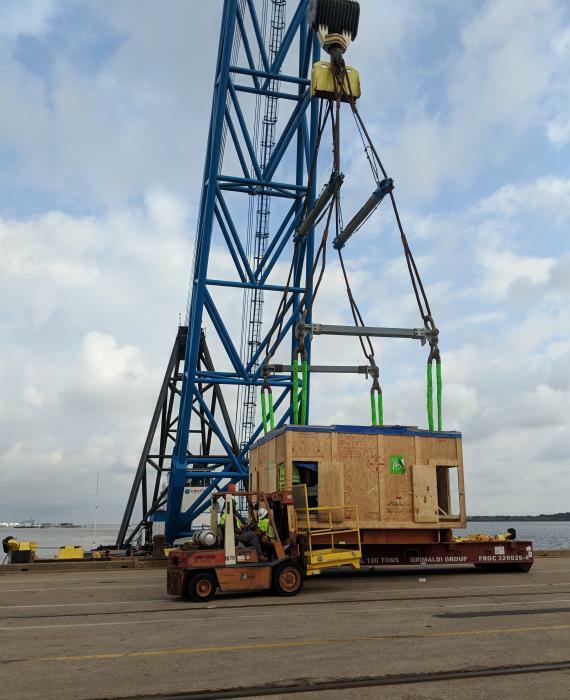 The cargo was shipped from Antwerp to Portsmouth, VA by RO-RO service on MAFI's then discharged and transshipped using a Crofton floating crane and carried on 2 x 19-axle trucks from the port to site. In addition to the cyclotrons, ABL also delivered many containers and conventional crates containing peripherical equipment.